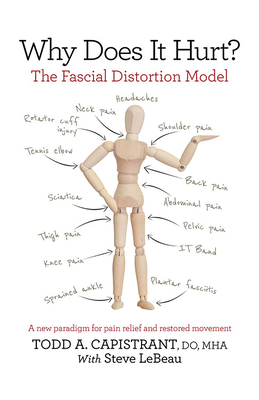 Why Does It Hurt presents a whole new viewpoint on the way our bodies work using FDM, the Fascial Distortion Model. Fascia is the fibrous connective tissue that permeates our bodies and holds everything together. Distorted fascia is often the cause of pain that may not respond to traditional treatments of physical therapy or anti-inflammatory drugs. Thanks to FDM, patients stooped over from chronic back pain now stand straight, and athletes sidelined with sprains quickly return to the game and perform as if nothing happened. Why Does It Hurt explains how, in case after case, FDM dramatically shortens healing time, reduces the need for tests and drugs, and restores movement and well-being to patients who had given up hope.